I don't have all the original source links for these images, so if if one of these pictures is yours, please let me know. Such a peaceful bedroom. I love the the idea of pots plants near a window. Not only are they pretty to look at, but they give some privacy. 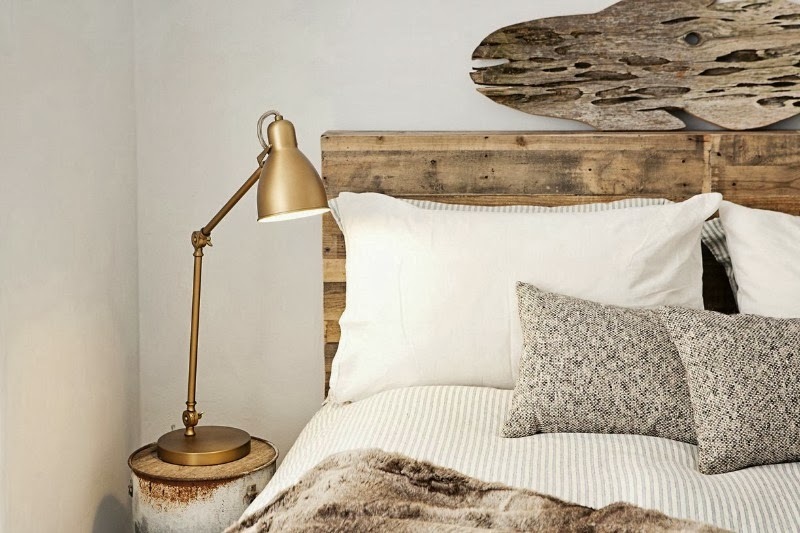 How great is this copper bed side lamp. 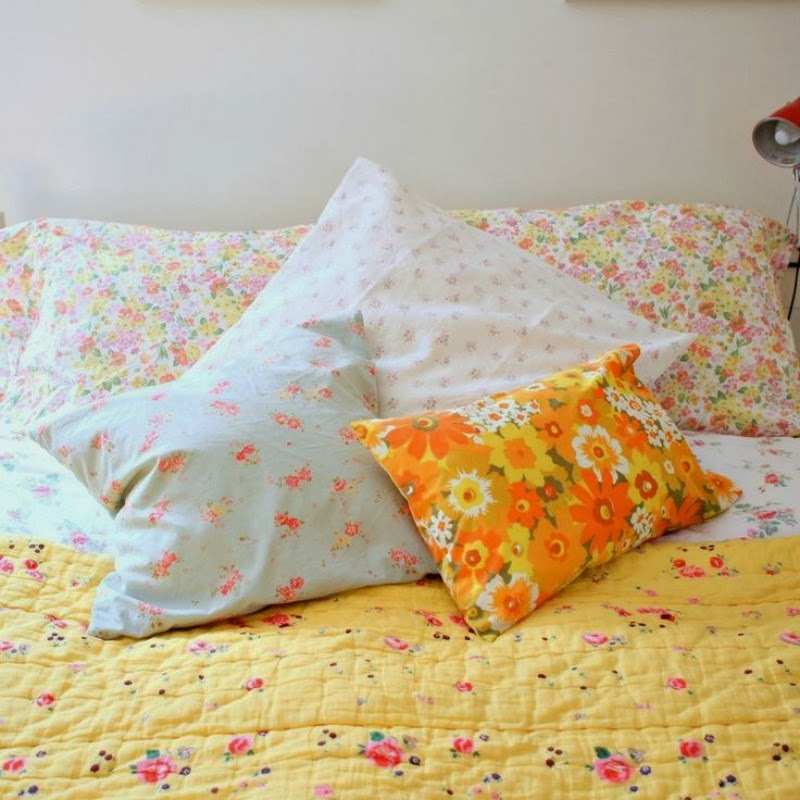 Pretty vintage floral bedding. You can never have too many pillow! I love the idea of a sheer curtain room divider. 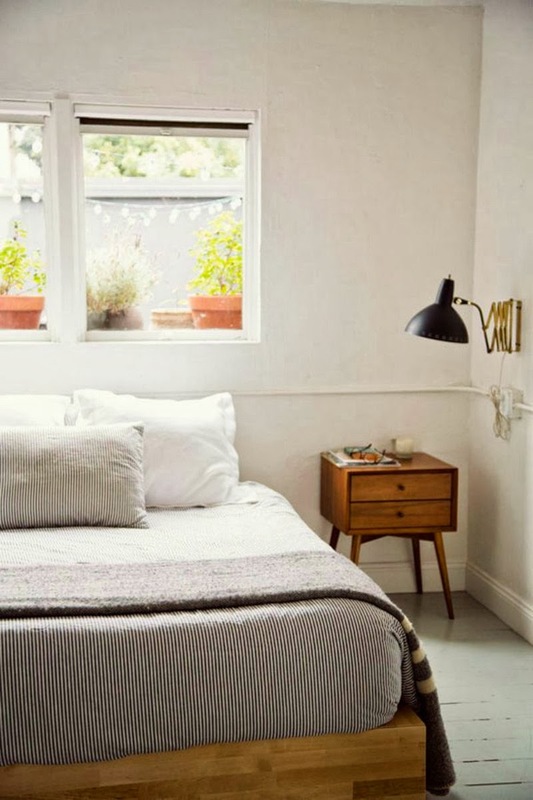 Love love the white painted floor boards. 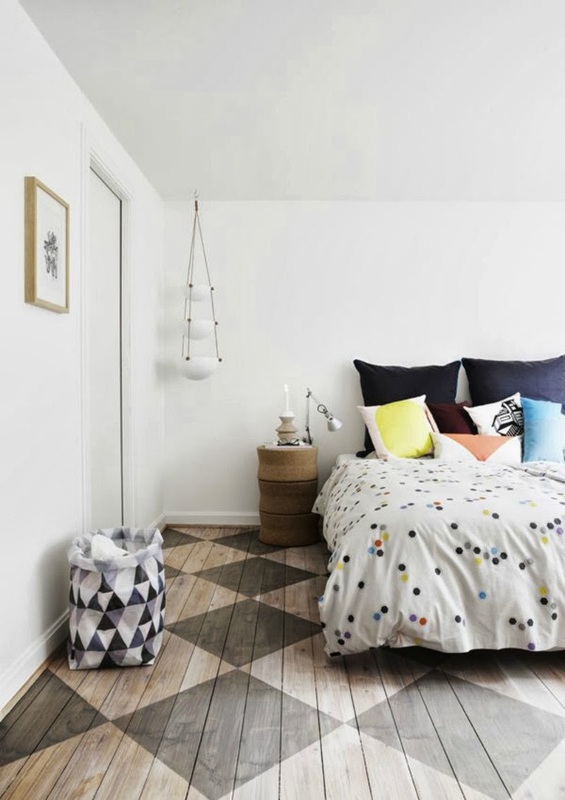 Dynamic painted floor boards and honeycomb bedspread. 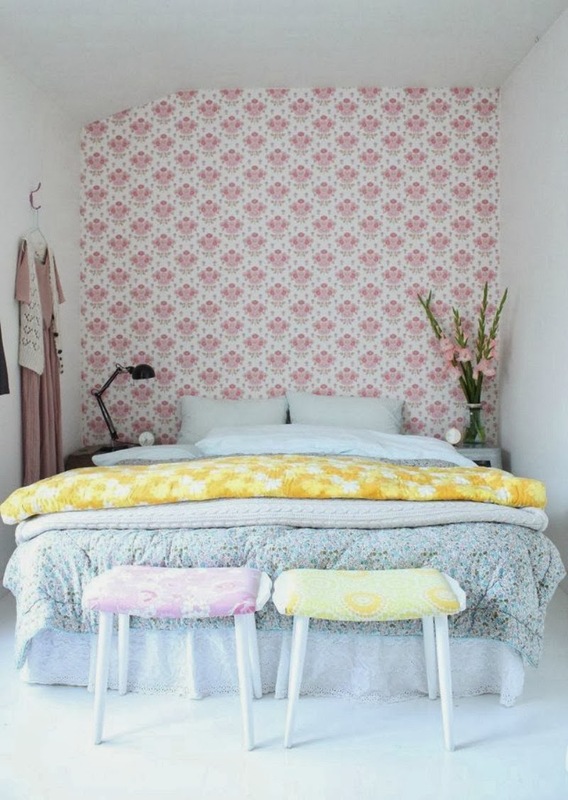 A cosy bedroom nook with pretty vintage wallpaper feature wall. 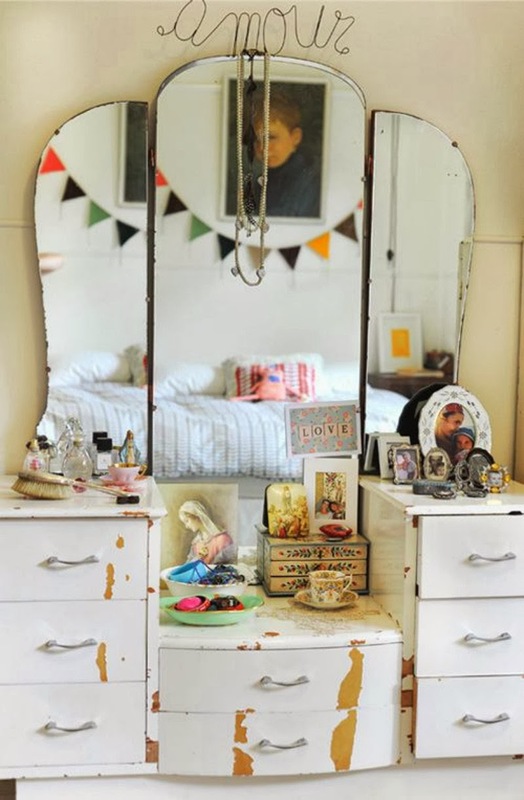 Lovely vintage dressing table. I also love the wire 'word art" above the dresser. 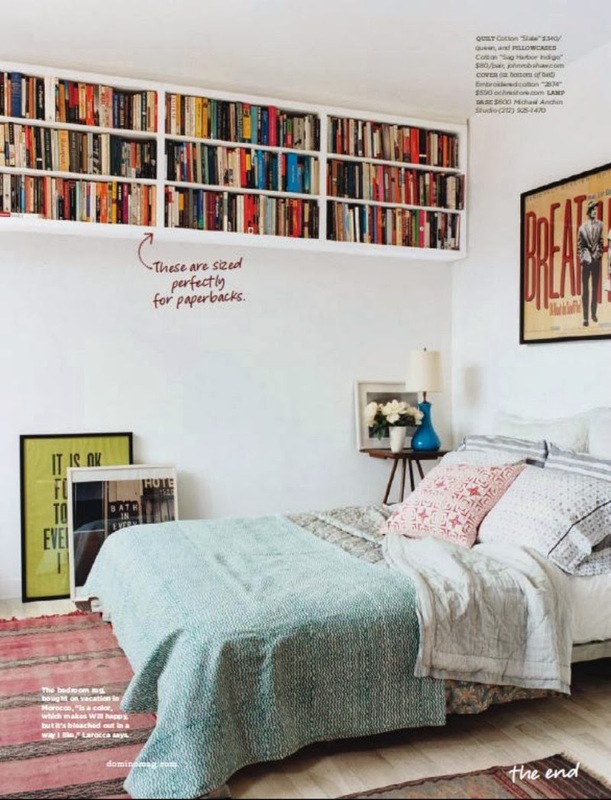 After looking at all these cosy bedrooms, I feel like a nap. Gorgeous - I love the floral prints!